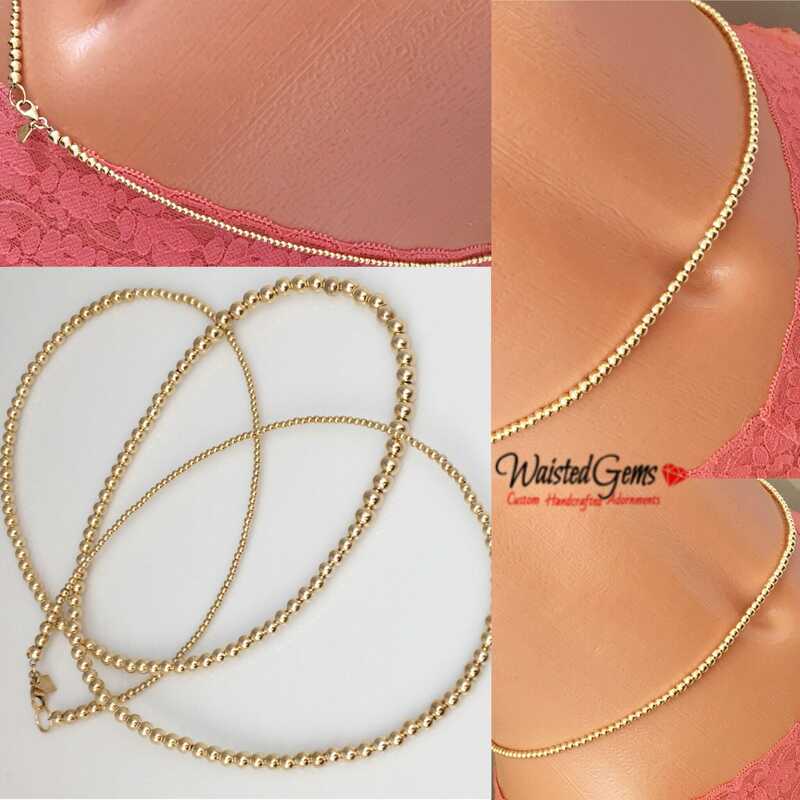 14k Gold Necklace Body Attachment and waist bead set are handcrafted with 2mm thru 5mm gold beads. 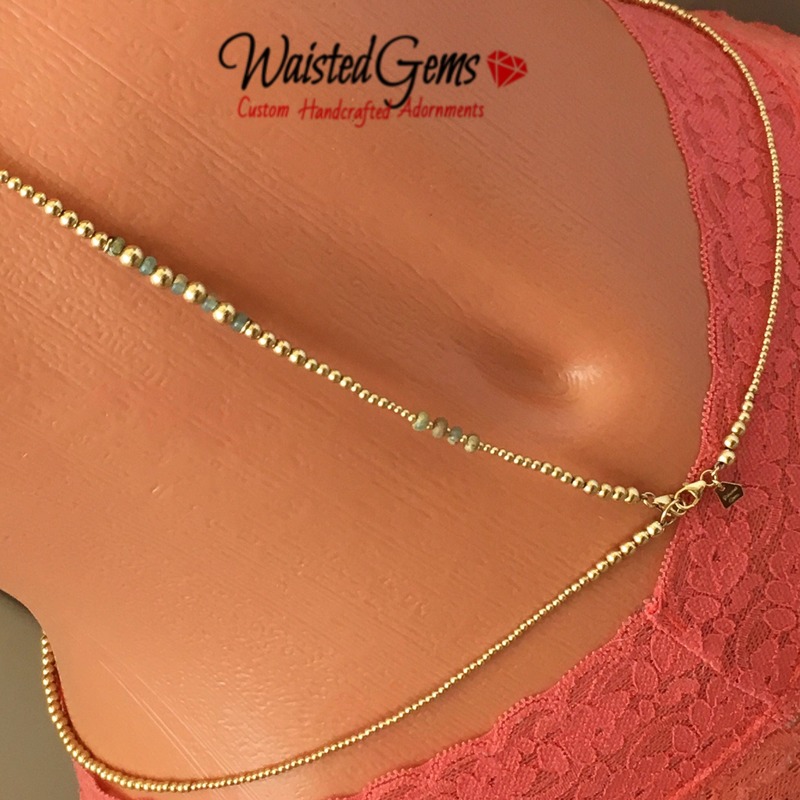 The beaded portion of the necklace is 19 inches long accompanied by a gold chain that proceeds to a beaded torso drop that connects to the 14k gold waist bead with a lobster claw clasp that converts the waist beads into a body chain. This Item can be made to coordinate with any of our 14k waist bead styles. If you order a 14k and Gemstone waist bead and would like to add this as an add on I will make it coordinate with it. 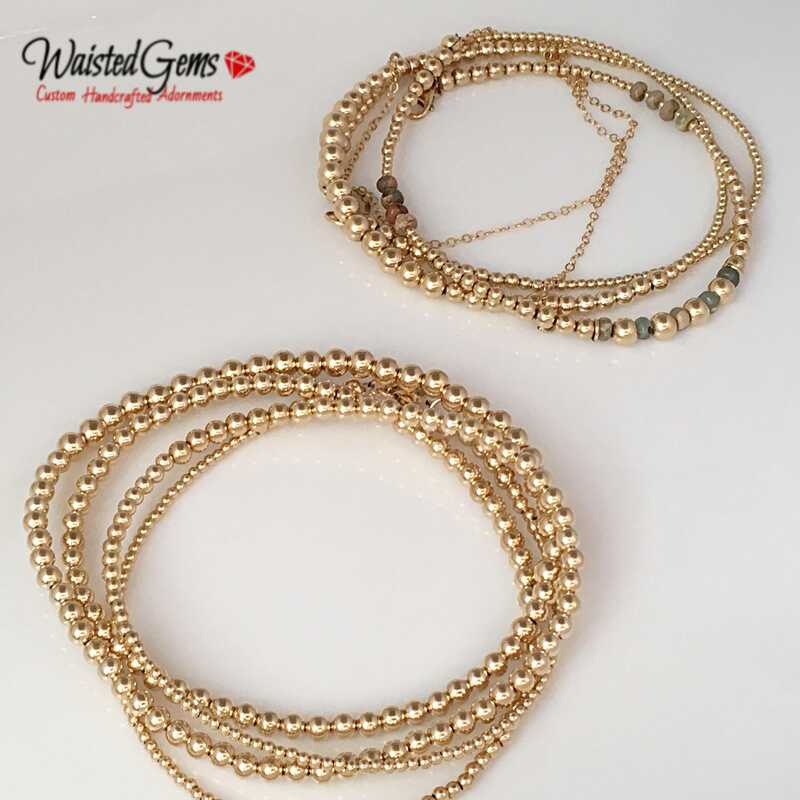 By replacing the current gemstones used to make this item to the gemstones in the waist beads you order. No two will be made exactly the same just similar in style. I take pride in creating one of a kind piece for you to adorn yourself with. Each order is meticulously handcrafted using all natural materials, which include glass, semi-precious gemstones, sterling silver, and 14k gold. I use top quality supplies and beads to ensure long-lasting wear. All pieces are guaranteed if you should ever need an adjustment or a repair. * You can also book Waist Gems for waist bead making workshops. Waist beads are a fun addition to bridal showers, birthday parties, and bachelorette parties.